Employees in Uber‘s self-driving unit have referred to a human and animal one of its cars might hit as “a squishy thing,” sources told Business Insider. Uber employees told Business Insider that the company’s autonomous driving unit had in its test vehicles turned off emergency braking features that could avoid collisions with humans or animals before a fatal accident that killed a pedestrian in Arizona in March. 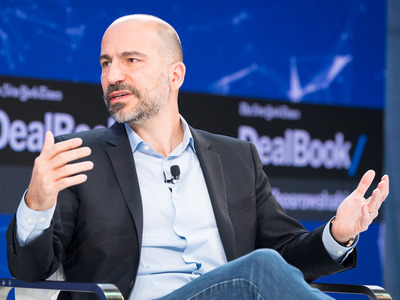 According to employees and documents viewed by Business Insider, the decision to turn off the emergency braking features was motivated in part by a desire to impress CEODara Khosrowshahi with a ride in a self-driving vehicle that was originally scheduled to happen around April. Employees in Uber’s self-driving unit have referred to a human and animal one of its cars might hit as “a squishy thing,” sources told Business Insider. Uber employees told Business Insider that the company’s autonomous driving unit had turned off emergency braking features in its test vehicles that could avoid collisions with humans or animals before a fatal accident that killed a pedestrian in Arizona in March. According to employees and documents viewed by Business Insider, the decision to turn off the emergency braking features was motivated in part by a desire to impress CEO Dara Khosrowshahi with a ride in a self-driving vehicle that was originally scheduled to happen around April. The high-pressure event was referred to as “Dara’s ride” or “Dara’s run” inside the company. After the March accident, Uber suspended the testing of its autonomous-driving software. The company once intended to include self-driving vehicles in its ride-hailing service in 2019, but backed off that goal after the accident. It has just recently asked for permission to resume testing vehicles with their autonomous software in Pennsylvania. Read more about Uber’s chaotic self-driving program here.